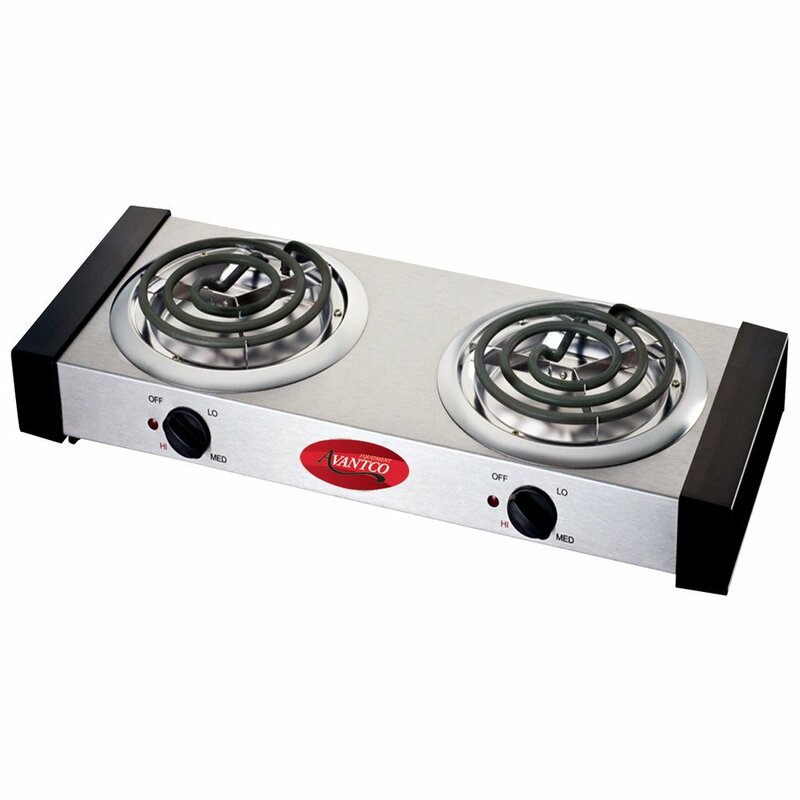 Perfect for buffet tables and catered events, this Avantco EB102 countertop range features two 750 watt burners with independent thermostatic controls. Its cool touch end panels protect against accidental burns, making the Avantco EB102 two burner buffet range an ideal fit for self serve applications. 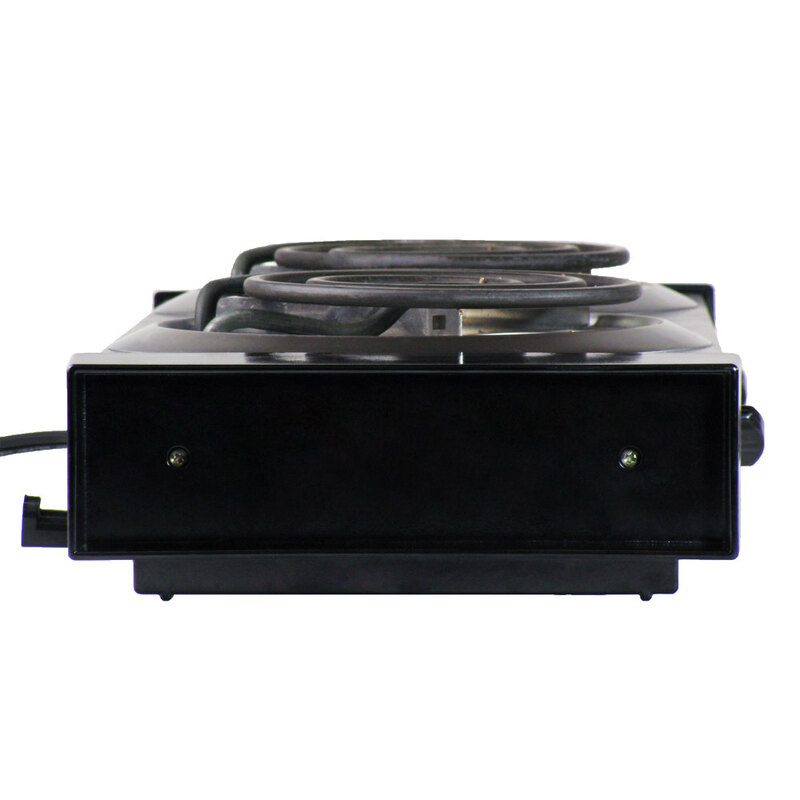 Also, the Avantco EB102 countertop range's self-cleaning heating elements and stainless steel drip pan allow for quick, easy clean up after service. You would think you were cooking on a full size range. 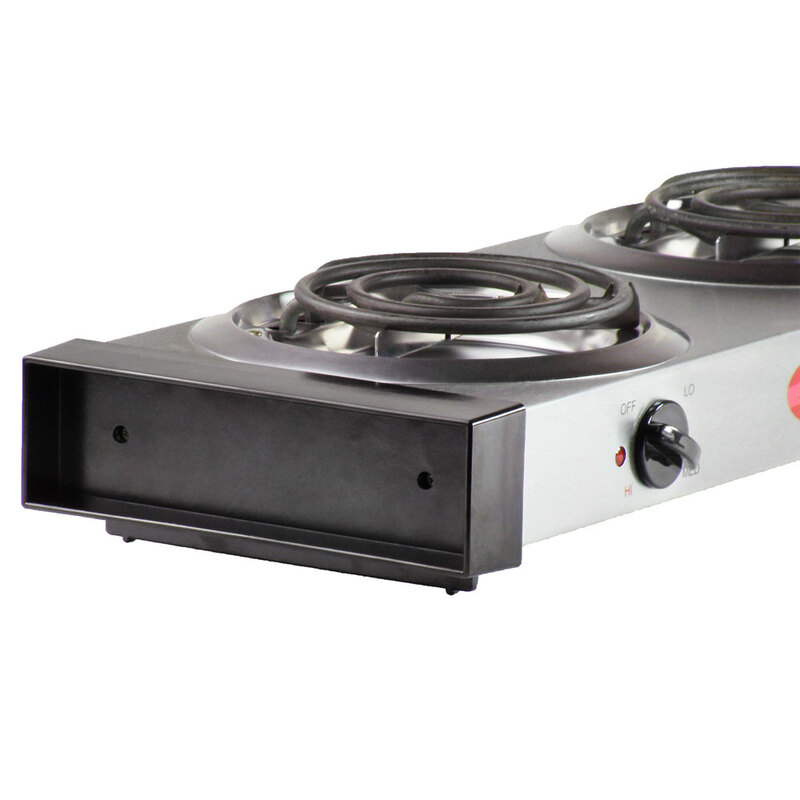 I have a very tiny cafe and so we cannot lose space by having a conventional stove top and so instead we purchased 2 of these and they work at the same speed as a regular range. I love them! This is better then I expected. We needed a small burner to fit on the counter top and this did the trick. It gets hot pretty fast and holds the temperature steady. Great purchase for the price! nice little double burner cooktop. we use for making additional sauces for our meals. just enough power to not burn and great value and light weight. I use this product to saute veges. It does the job for the price. I think I got this on sale and am not disappointed in the purchase. Lightweight, easy to use and minimal in space requirements. Excellent value and addition to our small operation! We purchased 2 for catering offsite as well! Only issue...be sure to have on a level surface. Joseph D. from Savorie, LLC. Life saver! First I love this brand and secondly the quality. It is light weight and easy to store. It works everytime and keeps great heat. We are very happy with this product. it is heavy duty and very durable. I would recommend it to anyone needing to heat products in small spaces. Great product for the price. I needed something to take along with me to food events that I could set up quickly to keep stuff warm. I've had two 8q pots on it keeping soup warm - perfect. I've also cooked on it using a flat-bottomed wok. No major BTUs but you need to be sure it suits your intended purpose for it. I understand that the cord is short for safety reasons, but I wish they could have made it just a bit longer. Therefore the four stars. This burner does the job for smaller pans and does the job well. I wouldn't attempt 10 Qt. stock pots on this model; no small-coiled burner appreciates that kind of abuse anyways. I had my doubts about this little electric burner but after the first day my doubts were lifted. Heats up fast and maintains temperature, my biggest plus is it cools down quickly. Very happy with this product by Avantco. 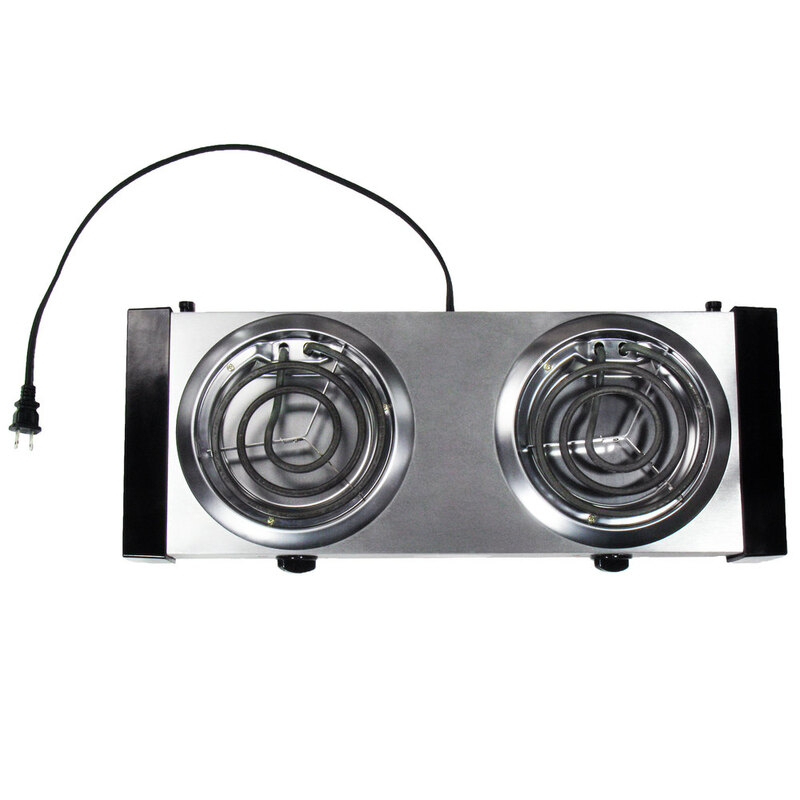 I bought 2 double burners, this one and a waring one and this one doesn't get as hot as the other one, so this is great for warming up and low to medium temperatures. 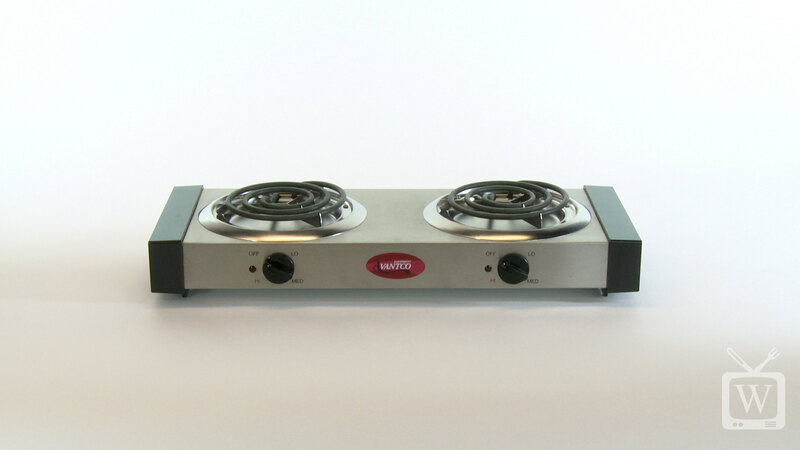 The Avantco double burner is a great little countertop range. Small and lightweight, we have actually used it more for camping. Also works great for catering. It's a nice little burner system. I had no problem heating eggs, shrimp, ect. However, please take notice of the BTU's I cannot get it hot enough to reach a rolling boil for water or other items. It reaches a certain hot temp and then turns itself off. Nice for small jobs though. This countertop range is a great alternative because it doesnt use up butane fuel! It saves money and is very attractive!Great for buffet or tableside cooking! The Avantco EB102 Double Burner Countertop Range is a perfect extra set of burners but especially wonderful for an area like my small bakery where I do not otherwise have burners. I rarely need them so these are super to pull out when needed and easily store when not needed! Thanks so much! Was dubious about buying this because the price was so good. It's actually great. Very portable, which works for us as we have a small kitchen and would use it infrequently. Easy to clean, and boils a quart of water very quickly! Chris D. from Custom Confections Inc.